Not too long ago, Huawei was not a major smartphone brand in India. At the end of Q1 2017, the company had 1.4% market share in the Indian smartphone market. However, the company has since been growing at a surprisingly rapid pace. Traditionally, the company opted not to launch Huawei-branded premium phones in India, as it relied on its online-only Honor subsidiary brand to sell affordable phones. In 2018, this changed as Huawei launched multiple Huawei-branded phones such as the Huawei P20 Pro, Huawei P20 Lite, Huawei Nova 3, Huawei Nova 3i, and finally, the Huawei Mate 20 Pro. Now, Huawei has launched the Huawei Y9 2019 in India for ₹15,990 ($227). 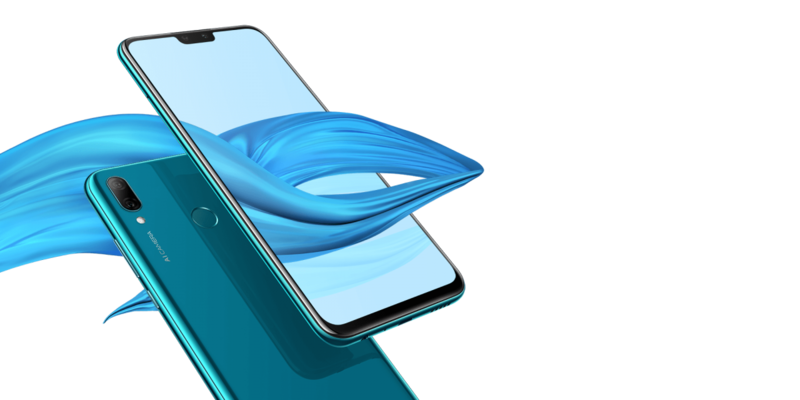 The Huawei Y9 2019 shares most of its specifications with the Honor 8X. Its design also looks similar, but this is not necessarily a bad thing. The phone has a glass back that features a nano-stripe pattern with a gradient color finish. On the front, it has a big 6.5-inch notched 19.5:9 aspect ratio IPS LCD. Huawei is promoting its 3D curved design and its Eye Comfort feature. The display’s brightness can be reduced to 3 nits. Performance-wise, the Kirin 710 falls a notch below the Qualcomm Snapdragon 660, particularly in terms of GPU performance. Its CPU performance is better than that of the Qualcomm Snapdragon 636, though. The phone’s 4,000mAh battery should result in good battery life when taking into consideration the mid-range 12nm SoC. According to Huawei, the Y9 2019 also supports smart power consumption optimization for comprehensive energy-saving technology. The Huawei Y9 2019 features dual rear and dual front cameras for hardware level bokeh. The front 16MP camera uses 4-in-1 “intelligent algorithm,” which we assume refers to pixel binning in low lighting conditions. The rear camera predictably features AI with 21 different category levels, and helps to adjust all parameters after analyzing a scene, with up to 500+ scenarios. The camera also features Huawei’s AI stabilization and hand-held Night Mode to support up to six seconds long exposure. This is turning out to be a new differentiating feature in this price segment (the newly announced Redmi Note 7 also features a Night Mode). Disappointingly, the Huawei Y9 2019 comes with EMUI 8.2 on top of Android 8.1 Oreo, instead of EMUI 9 on top of Android 9 Pie. Huawei hasn’t revealed any details about the timeline of the Android Pie update yet. 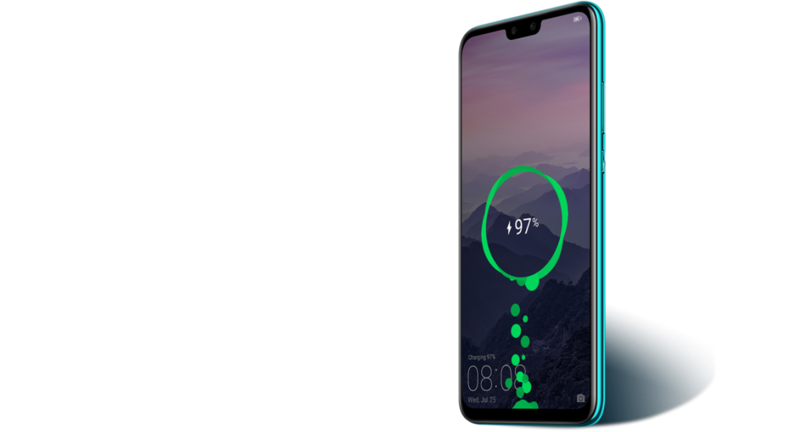 In terms of software features, the phone has Fingerprint 4.0 identification tech, Simple Mode, and a Talk Easy function which is said to intelligently identify background noise to evaluate users’ surrounding environment. There are also “Automatic Enhancement” and “Nicam Technology” features, which help to amplify sound automatically for clearer phone calls. Lastly, the phone can intelligently identify movement to adjust to a “complex environment” for a more stable connection under different types of conditions. The Huawei Y9 2019 will be available online exclusively via Amazon.in starting from January 15 at 12AM. The phone has been launched in India in a single 4GB RAM/64GB storage variant, and it will be available for ₹15,990. Huawei is bundling “Boat Rockerz 255 Sports Bluetooth hands-free” earphones said to be worth ₹2,990 for free as part of a limited period bundle offer. 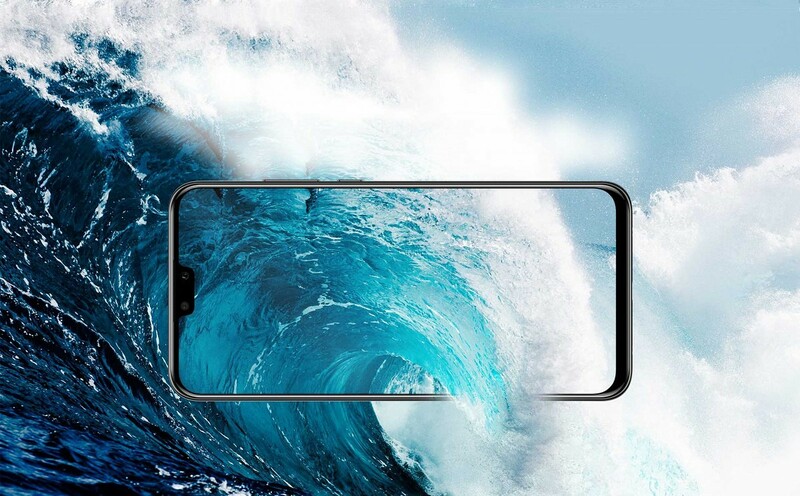 At this price range, the Huawei Y9 2019 enters a crowded and complicated field of competitors, which is currently populated by the Honor 8X, Asus ZenFone Max Pro M2, Xiaomi Redmi Note 6 Pro, Xiaomi Mi A2, Nokia 6.1 Plus, Motorola One Power, Realme U1, Realme 2 Pro, Vivo V9 Pro, and others. Note: Huawei has stopped providing official bootloader unlock codes for its devices. Therefore, the bootloader of the Huawei Y9 2019 cannot be unlocked, which means that users cannot root or install custom ROMs.